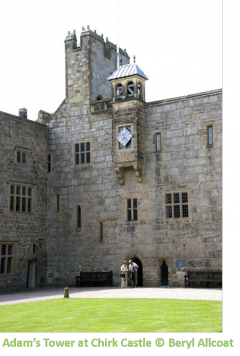 National Trust Walk at Chirk Castle is home to one of this year’s Wales Rally GB stages on 16th November. 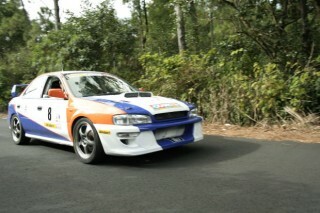 The day promises to be full of family filled events, with excellent spectator points. While you are there why not try out our National Trust Walk of the Month around the castle grounds. 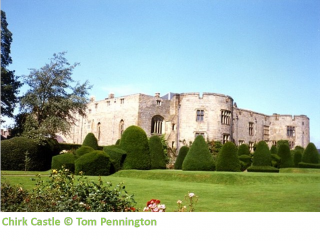 Work on Chirk Castle started in 1295 and was completed in 1310. It was built to keep the Welsh under English rule and was a symbol of English power. The Welsh Rally GB comes to Chirk Castle for the first time, and giant screens, special displays and the opportunity to get up close and personal with the rally cars makes this a perfect family day out. There’s plenty to inspire the kids at the castle too, including the dungeons in Adam Tower, and an opportunity to meet Will the Archer, try on his armour and be trained to help guard the fortress. For a more sinister story, you should also look out for the medieval murder holes. These enabled the men inside the towers to drop stones or fire arrows down on people trying to invade the tower. These holes are still visible in Adam Tower. Walking World’s route circles the surrounding area of Chirk Castle passing by the beautiful River Ceiriog with spectacular views of the North Wales countryside. The route is 6 miles long and the footpaths are open all year round. The route can be downloaded to your smartphone via the ViewRanger app. For more information on the route click here. If you do visit Chirk Castle, either for the Wales Rally GB stage or just to soak up the atmosphere of this bloody medieval castle please let us know on either our Facebook or twitter sites.